A larger placenta during pregnancy could lead to larger bones in the children, a new Southampton study has shown. Researchers at the Medical Research Council Lifecourse Epidemiology Unit, University of Southampton, studied 518 children in the Avon Longitudinal Study of Parents and Children (ALSPAC) who underwent bone scans at nine, 15 and 17 years old. Measurements such as thickness, volume and weight, were also taken from the mothers’ placenta. 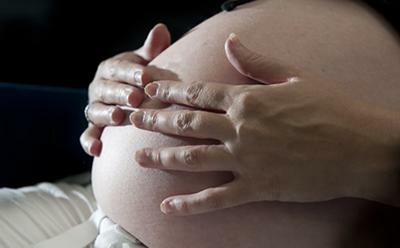 The Southampton group, working with colleagues at the University of Bristol, found that greater placental size at birth was associated with larger bones at each age in childhood. The study, published in the Journal of Bone and Mineral Research, found that the relationship between the placenta and offspring bone remained robust even after adjusting for factors such as the child’s height and weight and pubertal status. The Southampton team believe this latest research offers new insights into earlier observations linking maternal factors in pregnancy with offspring bone health. Larger bones in early life are likely to lead to larger, stronger bones in older adulthood, which reduces the risk of osteoporosis and broken bones in later life. However, more research is needed to understand the more detailed mechanisms underlying associations between placenta size/function and offspring bone mass, the team says.